As a follow-up to my previous post A Reading Guide to Agatha Christie’s Hercule Poirot Mysteries (Novels and Short Stories) Revised 22/10/2018), please find below an up-to-date list of Poirot short story collections and novellas by Agatha Christie, which I hope you find it useful. This list includes only the Poirot stories in each of these collections. Poirot Investigates a short story collection first published in the UK by The Bodley Head in March 1924. It contain the following eleven stories: “The Adventure of the Western Star”; “The Tragedy at Marsdon Manor”; “The Adventure of the Cheap Flat”; “The Mystery of Hunter’s Lodge”; “The Million Dollar Bond Robbery”; “The Adventure of the Egyptian Tomb”; “The Jewel Robbery at the Grand Metropolitan”; “The Kidnapped Prime Minister”; “The Disappearance of Mr Davenheim”; “The Adventure of the Italian Nobleman” and “The Case of the Missing Will”. The American version of this book, published by Dodd, Mead and Company in 1925, featured an additional three stories which did not appear in book form in the UK until 1974 with the publication of Poirot’s Early Cases: “The Chocolate Box”; “The Veiled Lady” and “The Lost Mine”. Murder in the Mews a short story collection first published in the UK by Collins Crime Club in March 1937. In the US, the book was published by Dodd, Mead and Company under the title Dead Man’s Mirror in June 1937 with one story missing (The Incredible Theft); the 1987 Berkeley Books edition of the same title has all four stories. All of the tales feature Hercule Poirot. The four short stories are: Murder in the Mews; The Incredible Theft; Dead Man’s Mirror, and Triangle at Rhodes. The Regatta Mystery and Other Stories a short story collection first published in the US by Dodd, Mead and Company in 1939. Five of the stories feature Hercule Poirot (“The Mystery of the Bagdad Chest”, “How Does Your Garden Grow?” “Yellow Iris”, “The Dream”, “Problem at Sea”). The collection was not published in the UK and was the first time a Christie book was published in the US without a comparable publication in the UK; however all of the stories in the collection were published in later UK collections. The Labours of Hercules a short story collection first published in the US by Dodd, Mead and Company in 1947 and in the UK by Collins Crime Club in September of the same year. The twelve stories are: “The Nemean Lion”; “The Lernaean Hydra”; “The Arcadian Deer”; “The Erymanthian Boar”; “The Augean Stables”; “The Stymphalean Birds”; “The Cretan Bull”; “The Horses of Diomedes”; “The Girdle of Hippolyta”; “The Flock of Geryon”; “The Apples of Hesperides” and “The Capture of Cerberus”. The Witness for the Prosecution and Other Stories a short story collection first published in the US by Dodd, Mead and Company in 1948. Only the short story “The Second Gong” features Hercule Poirot. Three Blind Mice and Other Stories a short story collection first published in the US by Dodd, Mead and Company in 1950. The later collections The Adventure of the Christmas Pudding (1960), Poirot’s Early Cases(1974), Miss Marple’s Final Cases and Two Other Stories (1979), and Problem at Pollensa Bay (1992) reprint between them all the stories in this collection except the title story “Three Blind Mice”, an alternate version of the play The Mousetrap, and the only Christie short story not published in the UK. The stories featuring Poirot are “The Third Floor Flat”; “The Adventure of Johnny Waverly”; “Four-and-Twenty Blackbirds” and “The Love Detectives”. The Under Dog and Other Stories a short story collection first published in the United States by Dodd Mead and Company in 1951 comprising the following stories: “The Underdog”, “The Plymouth Express”, “The Affair at the Victory Ball”, “The Market Basing Mystery”, “The Lemesurier Inheritance”, “The Cornish Mystery”, “The King of Clubs”, “The Submarine Plans” and “The Adventure of the Clapham Cook”. All the stories were published in British and American magazines between 1923 and 1926. All of the stories, save the title story, were to appear again in 1974 in Poirot’s Early Cases. The Adventure of the Christmas Pudding a collection of six short stories, five of which feature Hercule Poirot, first published in the UK by the Collins Crime Club in October 1960. It comprises: “The Adventure of the Christmas Pudding”, or “The Theft of the Royal Ruby”; “The Mystery of the Spanish Chest”; “The Under Dog”; “Four and Twenty Blackbirds” and “The Dream”. It was not published in the US although the stories it contains were published in other volumes there. Double Sin and Other Stories a short story collection first published in the US by Dodd, Mead and Company in 1961. The collection contains eight short stories and was not published in the UK; however all of the stories were published in other UK collections. The titles are: “Double Sin”; “Wasp’s Nest”; “The Theft of the Royal Ruby” (aka “The Adventure of the Christmas Pudding”); “The Dressmaker’s Doll”; “Greenshaw’s Folly”; “The Double Clue”; “The Last Seance” and “Sanctuary”. Problem at Pollensa Bay and Other Stories a short story collection published in the UK only in November 1991 by HarperCollins. It was not published in the US but all the stories contained within it had previously been published in American volumes. It contains three stories with Hercule Poirot, “The Second Gong”, first published in issue 499 of the Strand Magazine in July 1932. It was the basis of the novella “Dead Man’s Mirror” in 1935. ”Yellow Iris”, first published in issue 559 of the Strand Magazine in July 1937. 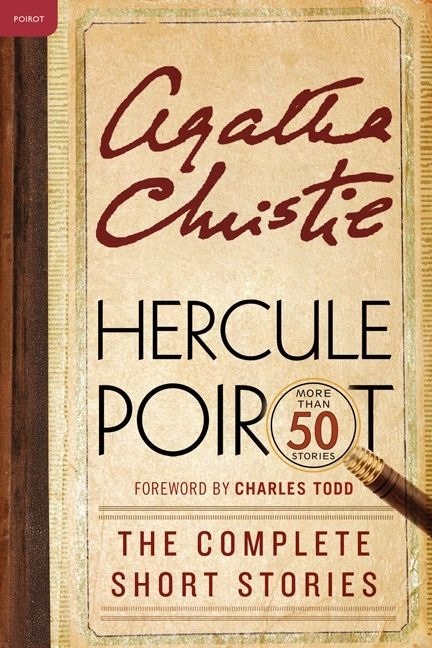 This story with Hercule Poirot was the basis of the novel Sparkling Cyanide, in which Poirot was replaced by Colonel Race and the plot was heavily altered. “The Regatta Mystery”, first published in issue 546 of the Strand Magazine in June 1936 under the title “Poirot and the Regatta Mystery”. The story was later rewritten by Christie to change the detective from Hercule Poirot to Parker Pyne before its first book publication in the US in The Regatta Mystery and Other Stories in 1939. The publication in the Strand Magazine remained the only publication of the original version of the story in the UK until 2008, when it was included in the omnibus volume Hercule Poirot: the Complete Short Stories. The Harlequin Tea Set a short story collection first published in the US by G. P. Putnam’s Sons in April 1997. It contains nine short stories each of which involves a separate mystery. With the exception of The Harlequin Tea Set, which was published in the collection Problem at Pollensa Bay and Other Stories, all stories were published in the UK in 1997 in the anthology While the Light Lasts and Other Stories. “The Mystery of the Spanish Chest” is the only story featuring Hercule Poirot. While the Light Lasts and Other Stories a short story collection first published in the UK in August 1997 by HarperCollins. It contains nine short stories. In addition to detailed notes by Christie scholar Tony Medawar, the collection comprises the following Poirot stories: “Christmas Adventure” first published, unillustrated, in issue 1611 of The Sketch Magazine on 11 December 1923, later expanded into novella form under the title “The Adventure of the Christmas Pudding”and was printed as the title story in the 1960 UK collection The Adventure of the Christmas Pudding; and “The Mystery of the Baghdad Chest” first published in issue 493 of the Strand Magazine in January 1932. The story was later expanded into novella form and was printed as “The Mystery of the Spanish Chest” in the 1960 UK collection The Adventure of the Christmas Pudding. expanded into the 1928 novel The Mystery of the Blue Train. “The Market Basing Mystery” (short story from Poirot’s Early Cases) expanded into the 1937 novella “Murder In The Mews” It first appeared in book form the US collection The Under Dog and Other Stories in 1951. The story first appeared in book form in the UK in 1966 in the collection Thirteen for Luck!, but its first appearance in an Agatha Christie only collection was in 1974 in Poirot’s Early Cases. “The Incredible Theft” (short story from Murder in the Mews) an expanded version of “The Submarine Plans”, which was serialised in six instalments in the Daily Express from April 1937, The Incredible Theft first appeared in the collection Murder in the Mews in the UK later that year, but was not published in the original US edition, 1937. “Dead Man’s Mirror” 1937 (short story from Murder in the Mews) an expanded version of “The Second Gong” in Problem at Pollensa Bay and Other Stories. “Murder in the Mews” 1937 (short story from Murder in the Mews) an expanded version of “The Market Basing Mystery”. “Yellow Iris” 1937 (short story from The Regatta Mystery and Other Stories and Problem at Pollensa Bay and Other Stories) was expanded into the 1945 novel Sparkling Cyanide featuring Col. John Race instead of Poirot. Pudding and The Regatta Mystery and Other Stories). “Hercule Poirot and the Greenshore Folly”, (posthumous novella) expanded into the 1956 novel Dead Man’s Folly. Published in 2013. “The Plymouth Express” 1923 (short story from Poirot’s Early Cases) expanded into the 1928 novel The Mystery of the Blue Train. “The Submarine Plans” (1923 short story from Poirot’s Early Cases)was expanded into the 1937 novella “The Incredible Theft”. “The Second Gong” (1932 short story from Problem at Pollensa Bay and Other Stories) expanded into the 1937 novella “Dead Man’s Mirror”. “Poirot and the Regatta Mystery” (1936 short story aka “The Regatta Mystery” was published in book form at The Regatta Mystery and Other Stories. The story was re-written in 1939 featuring Parker Pyne instead of Poirot, 1936. What a very useful compilation, Jose Ignacio, and one that I’m sure will be used as reference by countless researchers. Many thanks! I’m assuming someone urgently advised Dame Agatha to change this title!